We are excited to be adding a fifth free seminar to the Roots and Branches calendar of events!! 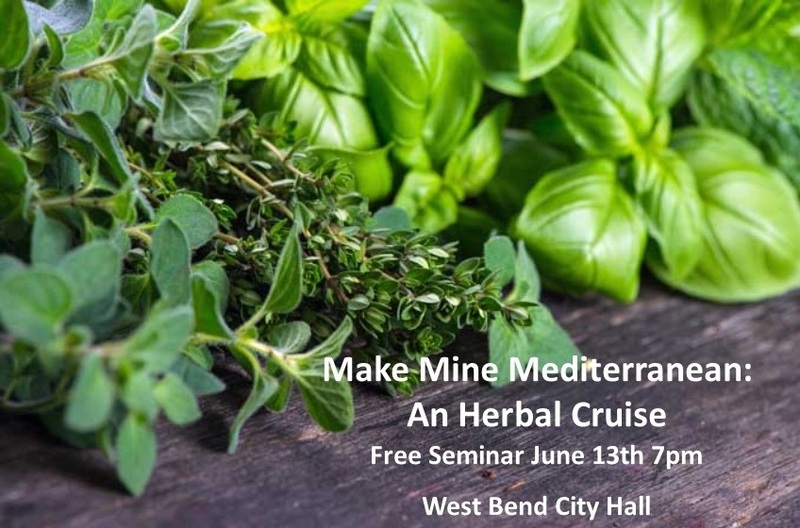 We invite you to jump on board for a cruise through Mediterranean herbs with Carrie Hennessey of Johnson Nursery. All seminars are free and open to the public. Reserve your space below or contact us at 262-335-5083 with questions.